"GLOW" (2017) The characters may be fictional, but "GLOW" is very much real. This Netflix comedy tells the (lightly fictionalized) story of the women who starred in the cult-hit all-female pro wrestling TV show GLOW (“Gorgeous Ladies of Wrestling”) that aired for four seasons in the 80s. 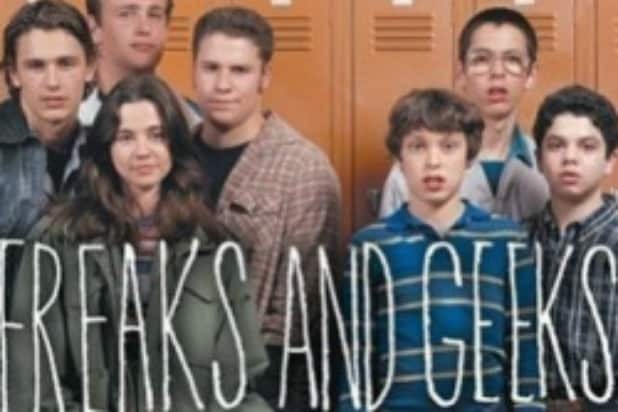 "Freaks and Geeks" (1999) Before “Bloodline,” Linda Cardellini starred in “Freaks and Geeks” alongside James Franco, Jason Segal and Seth Rogen. Cardellini’s character, Lindsay Weir, tries to shed her goody-two-shoes image and hang with the rebellious “freaks,” often running into trouble. "Stranger Things" (2016) Set in 1980s Indiana, science fiction/horror-thriller “Stranger Things” plays on many cultural elements of the decade, such as Stephen King novels and Spielberg films like "E.T." "Everybody Hates Chris" This autobiographical sitcom is based on comedian Chris Rock’s 1980s adolescence in Brooklyn. A young Chris (played by Tyler James Williams) must navigate a predominately white school, look after his siblings, and try to keep his tough parents happy. "The Goldbergs" (2013) Another show based on its creator’s childhood, “The Goldbergs,” is set in a small Pennsylvania town in the 1980s. The show leans hard on the decade's most awkward elements, like tracksuits and hideous matching outfits. "The Americans" (2013) This Cold War-set drama stars Keri Russell and Matthew Rhys as Soviet spies posing as a normal American couple in the D.C.-area. It was created and produced by former CIA officer Joe Weisberg and inspired by some of his real-life experiences. "Snowfall" (2017) This crime drama from John Singleton explores the origins of the Los Angeles 1980s crack epidemic. It premiered July 5 on FX. "This Is Us" (2016) “This Is Us” takes place only partially in the ‘80s, but it still counts. The non-linear time sequence touches on the past and present of the lives of three siblings (two biological and one adopted). The second season of the series will air on NBC on September 26. "Robot Jones" (2002) The Cartoon Network show follows a teenage robot named Jones who has to navigate human life in a futuristic 1980s middle school. The show’s blocky artwork is a nod to old school cel animation techniques. "Halt and Catch Fire" (2014) This cult hit AMC series tracks the personal computer revolution of the ‘80s. The personal computers in question, however, are a lot clunkier than the dainty, portable ones we use today.